Perception Sound — Float Eureka: Choose your adventure. A traditional sit-inside kayak with a modern design. Roomy and easy to paddle, the Sound maintains its line and stays relatively straight when paddling. Two built-in rod holders are a great fishing accessory for the angler in your group, whether you are fishing for trout on the White River or smallmouth bass on the Kings Rivers. 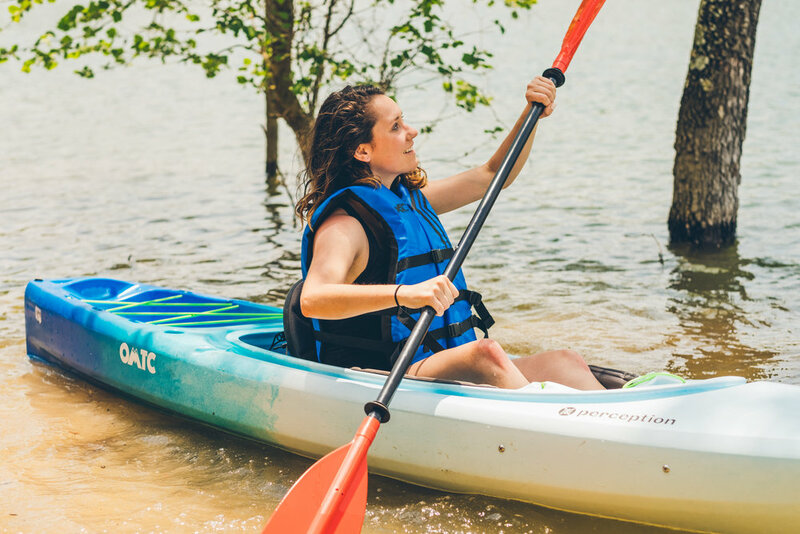 This kayak features a large rear storage area where you can keep plenty of gear and an iced-down cooler (available to rent from Float Eureka). 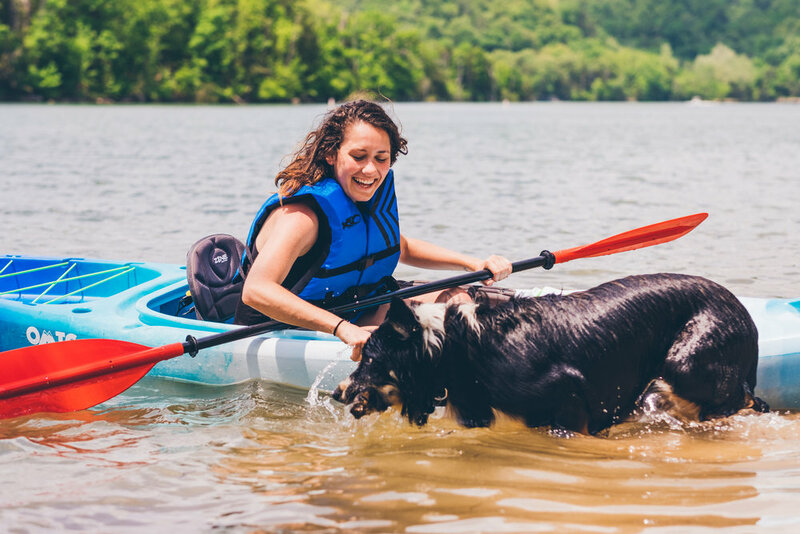 The Sound provides more protection from wind and waves than a sit-on-top kayak if the temperatures are cool, but is a great option even in the heat of summer. Check us out and leave us a review!